There is a Pick 6 Megapool with an estimated R1.7m pool but this is not a race in which to banker. The outcome of today’s R400,000 Cartier Sceptre Stakes over 1200m at Kenilworth could depend on whether Anton Marcus can get Just Sensual going in time over this distance but Joey Ramsden’s charge might not be able to give start and weight to some useful three-year-olds in this Grade 2 event. There is a Pick 6 Megapool with an estimated R1.7 million pool but this is not a race in which to banker. 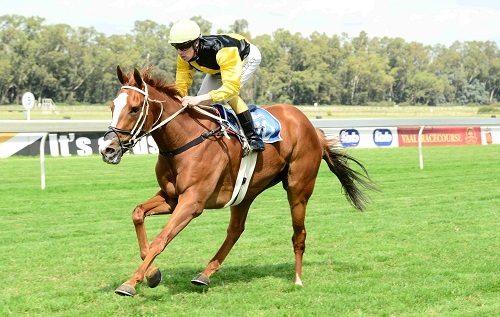 Mike de Kock has a high opinion of Shufoog and she looks ready to add a feature race of this nature to her record. She cruised to victory on debut over 1160m at Turffontein and then showed her immaturity in her next outing – her first in Cape Town – when 2.65 lengths behind Just Sensual in the Grade 2 Southern Cross Stakes over 1000m. She raced again last Saturday over 1000m, taking on males. She looked a winner going into the final 200m but was caught just short of the line by Speedpoint with some talented colts behind her. Magical Wonderland looks the biggest threat.